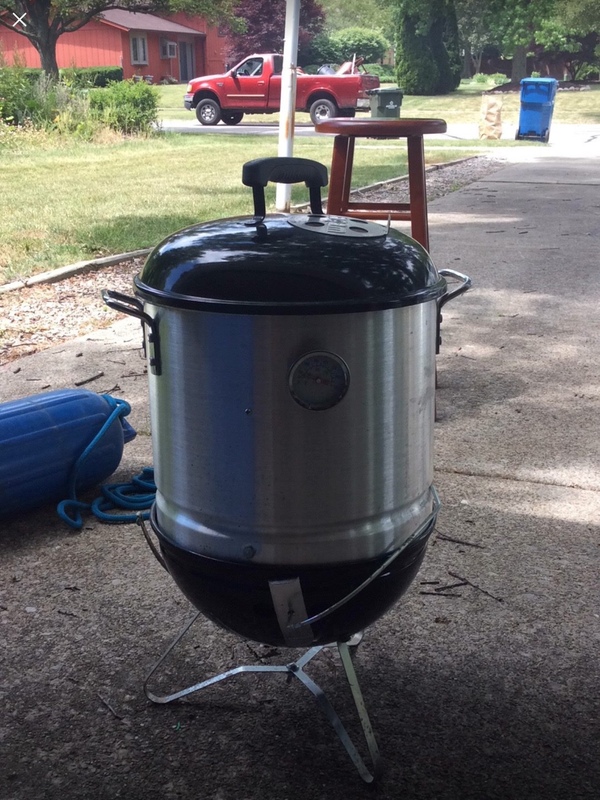 not an outrider, it is a 14 smokey joe with a tamale pot. These look to actually be two separate listings of the same mini wsm using a 14in Smokey joe gold. You can see the lid bale and holder in the first picture and the lid handle is bent in both pictures.